What is it about being in a history-laden building or viewing ancient art in a museum that fills us with a sense of wonder? A few weeks ago I was in Paris and visited several of the great museums there. Walking through the 15th century mansion that houses the Musee Cluny, the museum of medieval art, it was impossible not to feel a sense of mystery and wonder. The serene faces of the many images of the Virgin Mary were more calming than a dozen tranquillizers. Yet the medieval period was not was serene. Life was harsh and brutal. Peasants suffered through their short lives, prey to hunger, poverty, and the cruelty of aristocrats. But somehow in their art, they showed a promise of what life, or perhaps heaven, could be like. And all these centuries later those faces still fascinate us with a vision of peace and serenity. It is not only the religious figures in the Cluny that give us a sense of continuity and achievement. I found it touching to see this sun dial carved into the wall of the building. 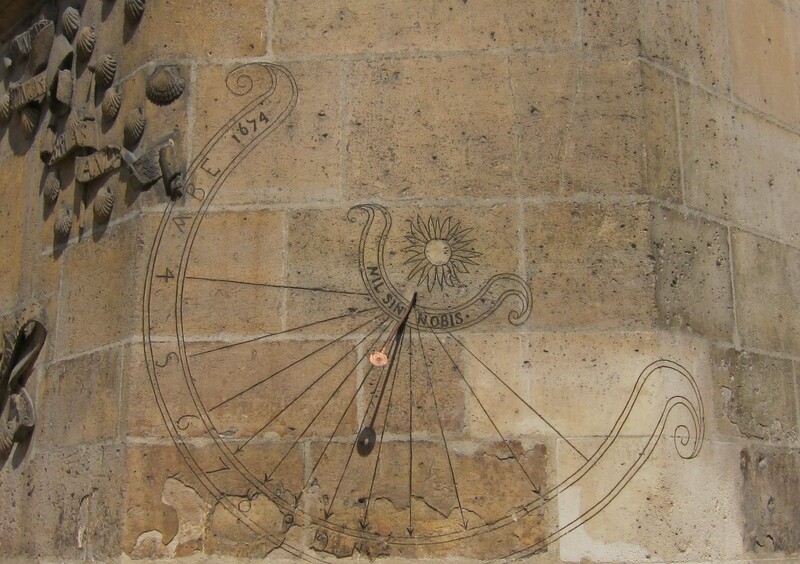 Somehow a dial that has tracked the movement of the shadows in this courtyard for more than 300 years speaks to me of how people’s greatest ideas can survive. We have no idea of who first set this dial on the wall, but his work (and it probably was a man who did it) has helped generations of people mark the time through their days. 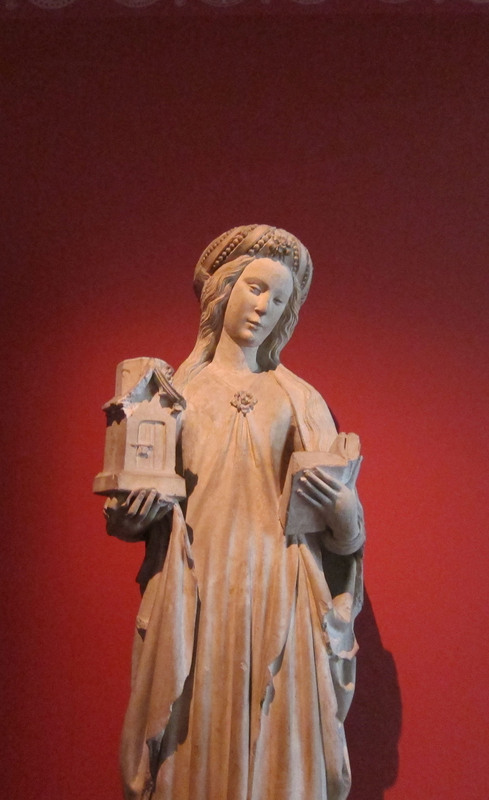 Of course Cluny is not the only museum in Paris that gives us a restorative glimpse of the past. The lovely (and almost never crowded) Musee Guimet with its collection of Asian Art has the West’s largest collection of ancient Cambodian sculpture as well as pieces from Japan, China, Nepal and India. 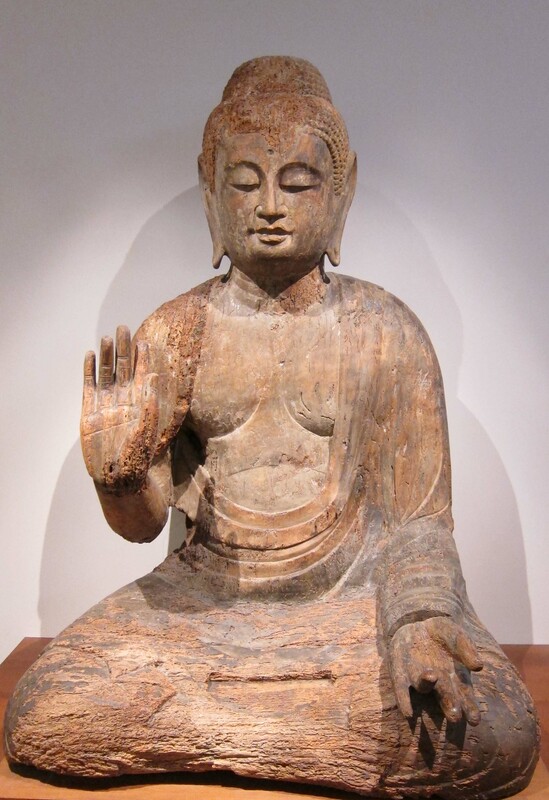 This wooden Buddha embodies the very idea of peace and disengagement from the trivial cares of the day. Visiting a city with a long record of its historic past is quite a change for someone who lives in the today-focused culture of California. It is another reminder of how much we need to hold onto our collective past, to think about it, read about it and if possible visit it. We can find a perspective which is not so easy to find in the clutter of media that fills our lives.